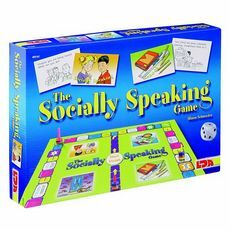 The game focuses on social skills in 3 areas: at home, at school and in the wider community. Through role play and problem solving activities, children practice skills such as listening, taking turns, giving compliments, asking questions, making telephone calls, and discussing feelings and emotions. Contains 100 question cards, playing pieces and Teacher's Notes. For 3-6 players at Key Stages 1 and 2.